Credit Scores – Why should I care? Credit scoring is a quick, accurate and consistent scientific method of assessing credit risk. The scores are based on data about an applicant’s credit history and payment patterns in a credit bureau’s file on that applicant. A score is based on data rather than human assessment and judgment. CREDIT SCORES CAN AND DO CHANGE. What are the credit standards for mortgage loans? 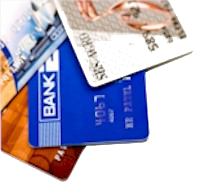 If you do not have an established credit history with the credit bureaus, you may qualify with alternative credit. Alternative Credit – What is it? Any accounts that you pay on time that do not report to the credit reporting agencies.